On August 11th, 1951, following a two week revival, held in a big tent that was purchased by Bro. Cecil Thurman and Bro. L. C. Lynch, the Shafter Free Will Baptist Church was organized. Rev. L.C. Lynch was called as paster. Twenty-one came forward to be received as Charter members. Twenty-Three benches were purchased to be used in the tent (which they called the tabernacle). A lot of 208ft. by 75ft. was also purchased on which to build the Church at Smith’s Corner. $2700.00 was borrowed to build the Church which was 30ft. by 50ft. The tent was used until the middle of March 1952, at which time they moved into the building that was almost completed. Shafter Free Will Baptist Church remained at Smith’s Corner from1951 until June 1982, when Rev. Sam Hensley led the Church into a building program. On February 9th 1982 the ground was broken for the church property. The Shafter Free Will Baptist remained at Smith’s Corner until June of 1982. Church was held in the Richland School Music Room until services could be held at the new site. The Sunday school rooms and the Fellowship Hall were completed first. Services were held in the Fellowship Hall until the Auditorium could be completed. 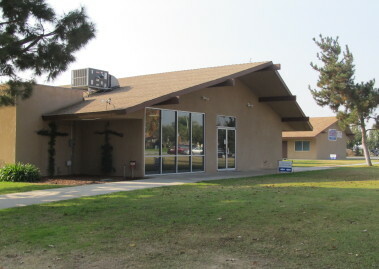 The Shafter Free Will Baptist first services were held in the Auditorium during the summer of 1985.